Good idea in concept but best left in the panniers for use off the bike. There’s something to be said about people who can set off on an adventure with nothing more then a pen, a pad of paper and a wrinkled old map—and then come back safely several months or years later, having successfully circumnavigated the globe. For most people, however, a mobile phone is a necessity, and for many more, so is a GPS device—not to mention still cameras, helmet cams, trackers, tablets, netbooks, laptops, chargers, cables etc. With all the gadgets available, it’s easy to go mad. I’ve compiled a list of electronic devices that I find useful when travelling for longer than a day trip, ranked from least to most important. 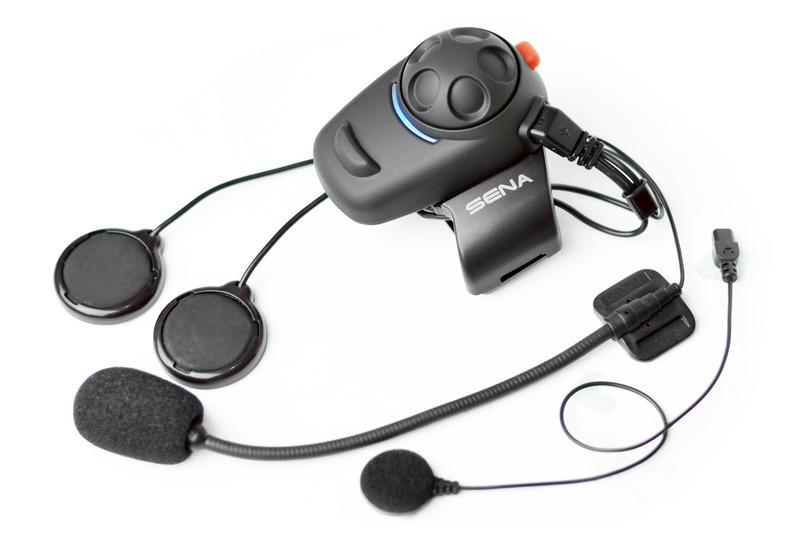 A bluetooth headset connects to devices such as a satnav, smartphone and another headset to hear turn-by-turn directions, make/receive calls (when stopped, of course), listen to music and speak to your pillion or others in a group. I’ve ranked this as the least important device because it is a luxury, really—something that makes the journey a little bit more pleasant. My pick is the Sena SMH5 which I’ve found to be a reliable and robust device regardless of weather—and easy to use with glove-friendly buttons and Sena’s excellent jogwheel. The cost of this model is also very reasonable compared to competitors such as Cardo. Tablets have several distinct advantages over netbooks and laptops—they’re light, vibration-friendly (no moving parts) and have long battery life. With accessories such as camera connectors and keyboard covers, it’s easy to download and edit photos/video, and, if you feel the need, to keep up-to-date with email, blogging etc. As well, there are many options for travel-oriented apps such as trip journal and mapping software. Due to feature overlaps with other devices, most tablets can serve as a backup a failed GPS device or play music as alternative to an MP3 player/smartphone. 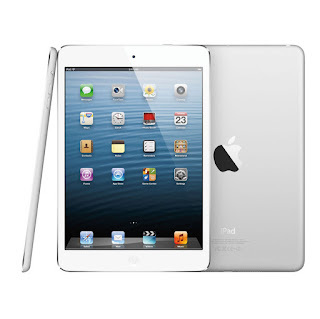 My pick is the 3G Apple iPad mini which is not much bigger than a large smartphone. You may prefer an Android- or Microsoft-based tablet—they all get the job done. The ubiquitous camera is one of the most effective tools for documenting a holiday. I’ve ranked it 4th because most people already have a camera in their pocket in their mobile phone—the latest generation of which surpass the quality of low end point-and-shoot cameras. I have always been partial to dedicated cameras and I am willing to make the room to carry my D-SLR and an extra lens because it takes photos that are in a different league from a point-and-shoot. That said, compact point-and-shoot cameras in the £250+ range will take photographs that most people would be very happy with, while fitting in a quarter of the space of a D-SLR. 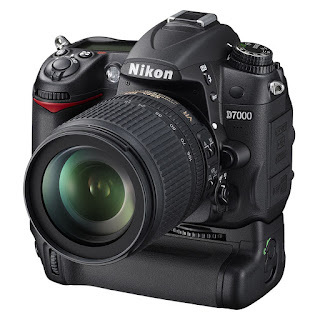 My pick is the Nikon D7000 + 18–105mm VR lens kit plus a Nikon 50mm F1.8 lens which can take excellent photos in low light. It will take up to 1,000 photos without flash between charges, or 2,000 with the pictured battery grip—enough that you could probably leave the charger at home. Other camera manufacturers such as Canon, Pentax, Sony etc also make top quality cameras so shop around. Why bring individual chargers for all your devices when you could invest in a good 12v USB charger? Most current generation devices such as smartphones, tablets, headsets etc charge via their USB ports. However, connectors can differ—for example, mini or micro USB connectors, Apple dock or Lightning connectors, and other proprietary connectors. Bringing the correct cable takes a lot less room than the whole charger so before a trip, double check that you have appropriate cables for all your devices with you. I rank the universal charger in 3rd place because it is a critical device if you’re travelling somewhere without access to electricity, but also convenient for keeping devices charged up on-the-go. You probably have better things to do than wait for your phone to charge at a petrol station. 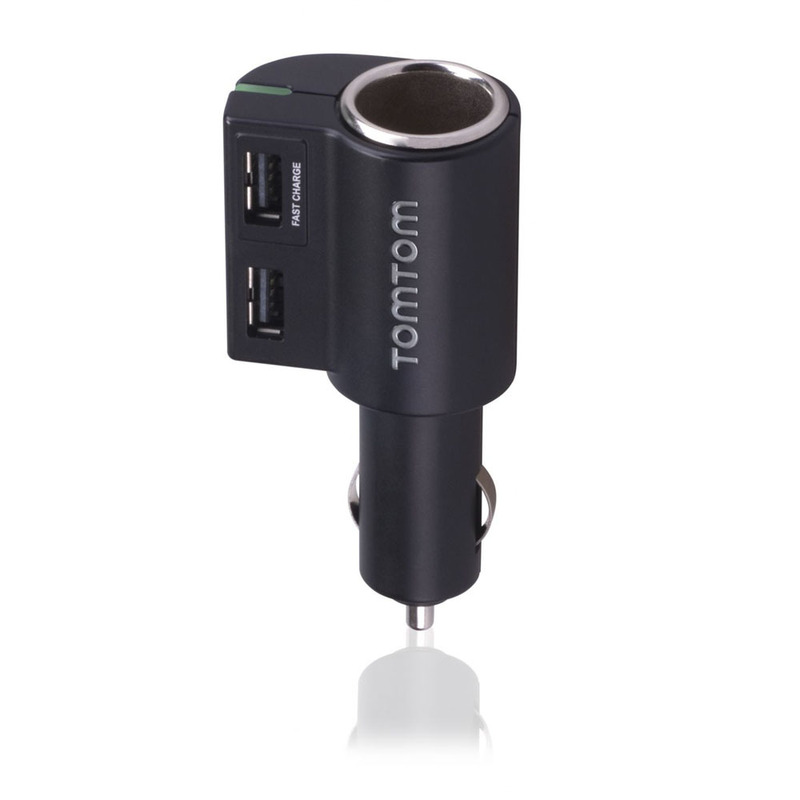 My pick is the TomTom High Speed Multi-Charger because it has one standard USB port (good for phones and headsets) and a second 2A USB port (good for tablets). The charger lives in my tank bag and is powered using a (ridiculously overpriced) Powerlet DIN to cigarette socket cable. For me, a GPS is an essential bit of kit, particularly when navigating foreign cities and motorway networks. Not only is it safer to not have to stop unduly to check a map, but it also uses less petrol to get where you’re going as efficiently as possible—important when petrol costs £1.50/litre. I had a TomTom Rider v2 for several years, which was an excellent unit with an easy-to-use interface. I would still be using it today had it not stopped being waterproof during a rainstorm in Belgium—sadly it has left our plane of existence. 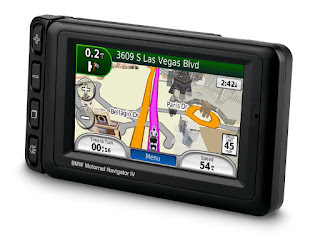 My pick is the BMW Navigator IV because the cost was similar to its sister model, the Garmin Zumo 660, but it comes with a better mount with glove-friendly buttons for zooming the map, repeating instructions etc. The installation is solid—on the F800GS it bolts directly to the handlebar risers, and is powered by a cable running to a dedicated CANbus connector located next to the bike’s battery. But, like every other GPS I've used, I prefer keep the female synthesised voice muted—she is strict as a Gefängnisdirektor and her sultry tones become wearing very quickly... saucy minx. 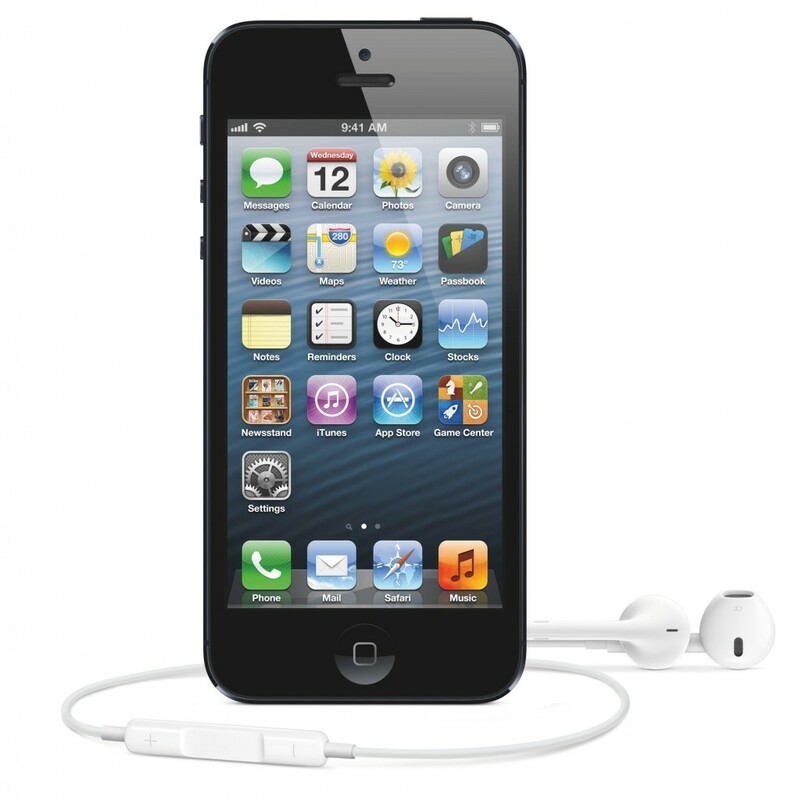 The humble phone has become a computer, camera and music player in your pocket. It has become an integral part of our lives, from facilitating grocery deliveries, making payments, boarding flights, controlling helmet cams—almost anything you can imagine. I rank the smartphone as the most important device to have when travelling. It’s my music player, GPS backup, helmet cam viewfinder, tracker and source of information for weather, routes, restaurants, hotels etc. My pick is the iPhone 5 because it integrates well with my other devices, has a decent camera for quick snaps, and is a solidly-built piece of kit. It also integrates with my Nikon camera via an SD card reader dongle. Apps tend to be good quality due to Apple’s militant approval process. As mentioned previously, Android- and Microsoft-based smartphones will also get the job done so do your own research and buy the phone that best meets your needs.